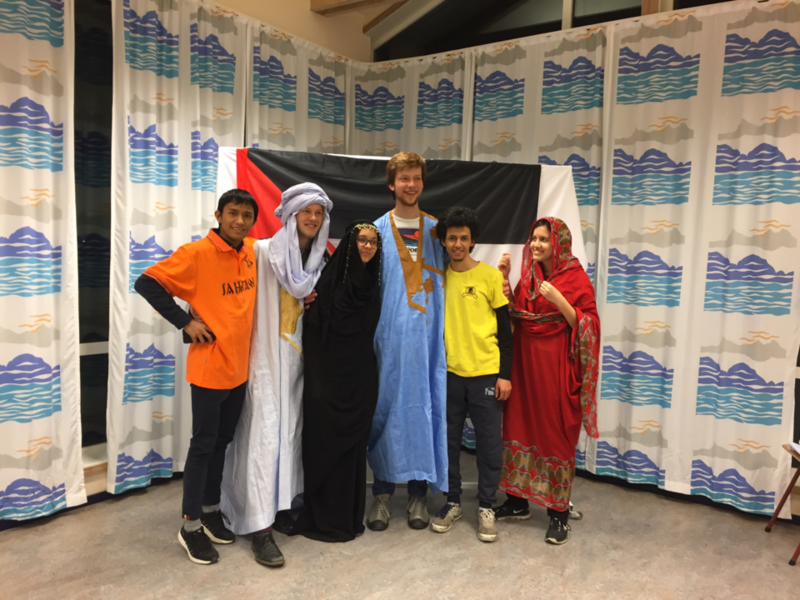 Laurdag vart Vest-Sahara Solidaritetshalvmaraton arrangert for fjortande gong av Nordisk United World College. 31 løparar kom i mål ved skolen som ligg i Flekke i Fjaler i Sogn og Fjordane. 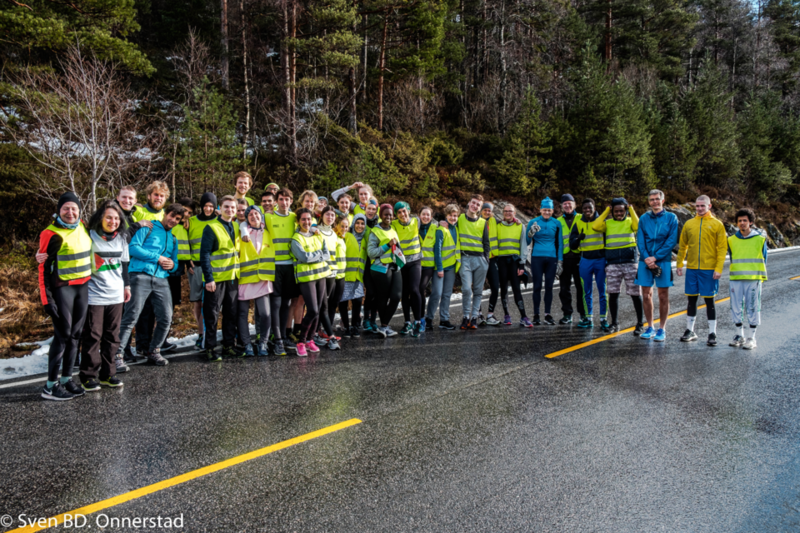 This year on Saturday, March 16th, a bit later than usual, we had our run in Solidarity with the Human Right struggles of people of Western Sahara. We had 36 participants from 20 countries. 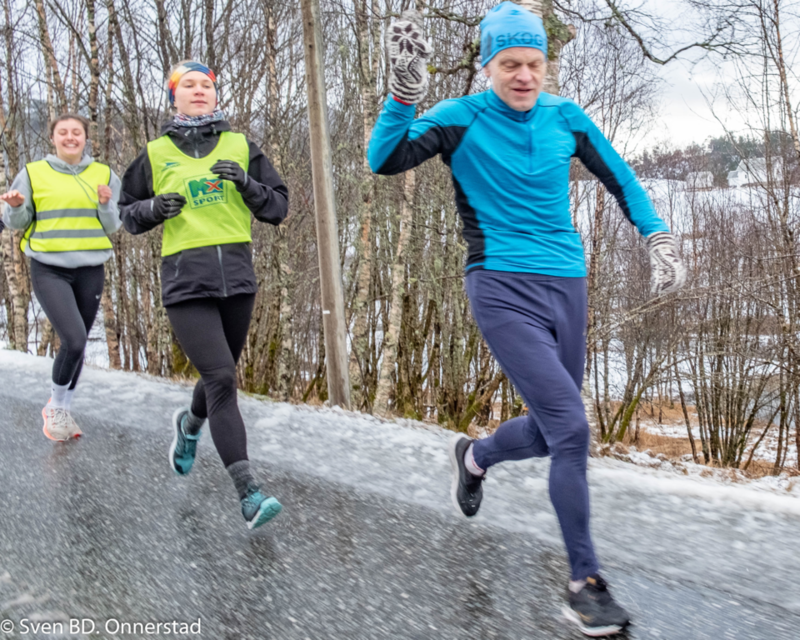 Apart from the RCN Students we had three Guest athletes: Hermund Kleppa, Inge Asbjoern Haugen and Per Olav Bøyum who have been supporting our event from its´ early days fourteen years ago. 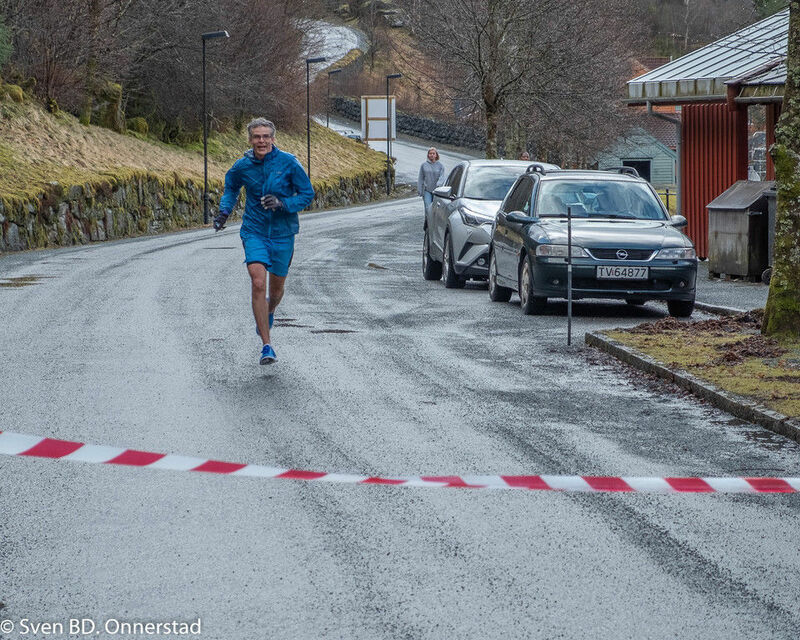 Hermund in the Senior category (78) completed the run finishing full of energy. 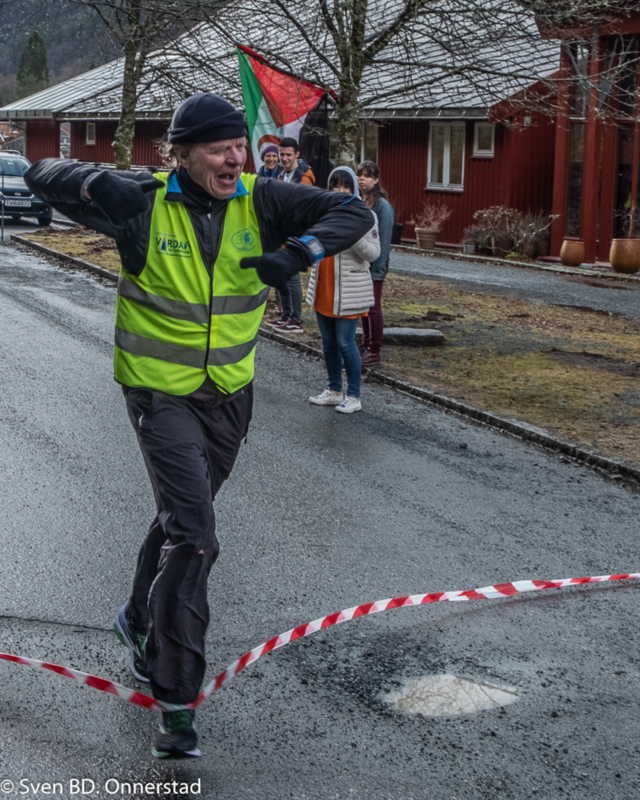 Per Olav the fastest runner of our event completed the race in 1 hour and 22 min! Followed by our 1st Year Student Johana Cálková from Czech Republic and Sweden and a 2nd Year Mauro Vazquez Bassat from Spain. 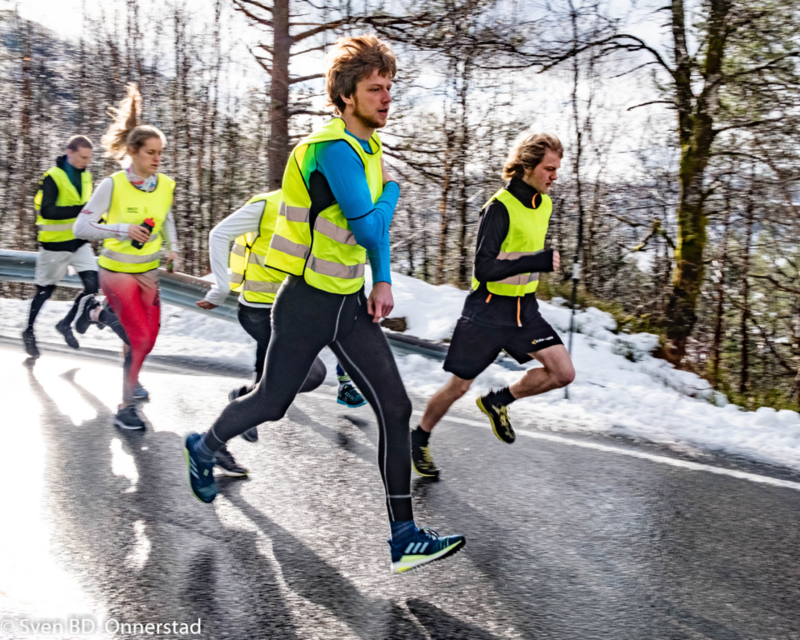 All attempting the run for the second year improved their last years’ time and completed the race in high spirit. The day finished with a Café and a presentation on the “Life in Camps”, “Saharawi Language and Culture” and “Educational Prospects for Saharawi Youth” delivered by our Western Sahara Students: Ladiba, Najib and Omar. Superveteranen Hermund Kleppa bryt målsnøret.